Every day carry 70 mm sharpener that includes other tools like 7, 8 and 10 mm wrench, two flat head screwdrivers, bottle opener, wire stripped, file edge and metric-english ruler that includes a lanyard hole for easy carry. 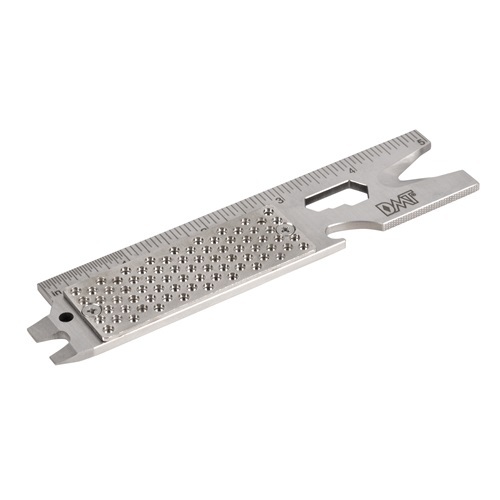 Tool: 5 1/2" x 1 1/4" x 3/16". Sharpening surface 2.76" x 0.98". Sharpener made in USA; other components made in China.